German Defense Minister von der Leyen has met with Iraqi officials to determine how to continue to assist authorities in the country. But a debate about the Bundeswehr's role in the region could soften its commitment. 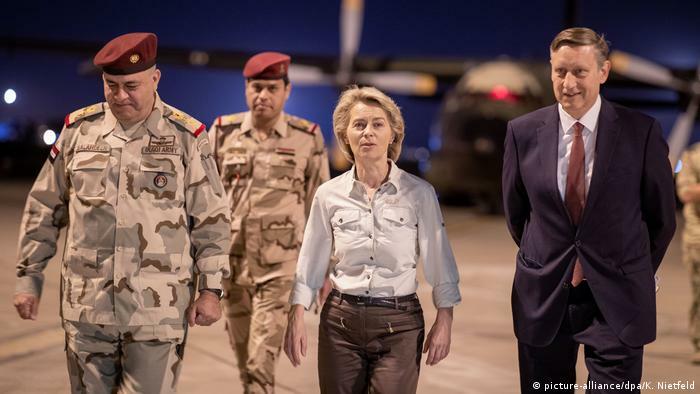 German Defense Minister Ursula von der Leyen arrived in Iraq on Saturday to discuss her country's intention to develop its military assistance program in the country. Von der Leyen said that following the "Islamic State" militant group's military defeat in Iraq, it is time to move forward with other endeavors, including stabilization and reconstruction. "Now it is important to shape and protect the reconstruction of the country under a new mandate," said von der Leyen. "Germany is ready to continue helping Iraq get back on its feet. That is why I am here." In February, von der Leyen said the role of the Bundeswehr — Germany's armed forces — needed to evolve to meet the "needs of Iraq." At the time, Iraqi Prime Minister Haider al-Abadi said Baghdad wanted a "commitment from Germany" for "other forms of engagement," including training and logistics. Since 2014, Germany has provided Iraq with more than €1 billion ($1.16 billion) in humanitarian and development aid, making the Middle Eastern country one of the largest recipients of German foreign assistance. Berlin also has about 150 troops stationed in northern Iraq to train Kurdish peshmerga and runs a pilot training program north of Baghdad. Von der Leyen's visit comes as Germany mulls a greater military role in the region. German Chancellor Angela Merkel on Wednesday suggested that Berlin must be ready to respond if chemical weapons are used in war zones. "To simply say we can look away if somewhere chemical weapons are being used and international conventions are not kept, that can't be the answer," Merkel told lawmakers. Reports broke on Monday that the German Defense Ministry had started examining the possibility of joining military operations in Syria after Washington asked Berlin to consider a coordinated response against Damascus if the Syrian government stages a chemical attack. But the Social Democrats (SPD), a junior coalition partner in Merkel's government, had said it would only support a German response to a chemical weapons attack if it had UN backing. Some Germans are wary of foreign military interventions by the Bundeswehr, in part due to the country's experience during World War II. 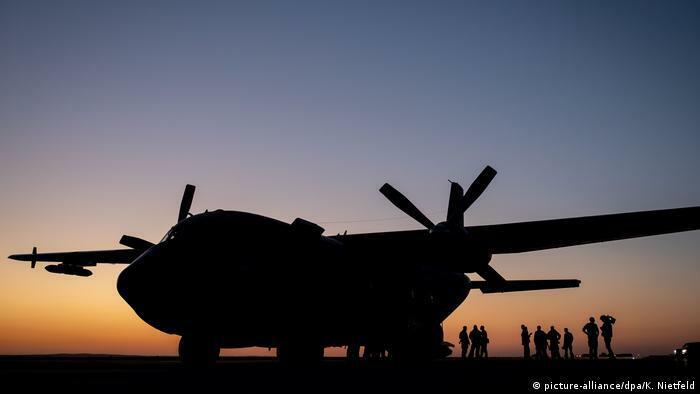 It is up to the German parliament to deploy the Bundeswehr on foreign missions.